A group of bochurim learning in Yerushalayim Ihr Hakodesh are faced with a difficult dirah predicament, as they describe on a GoFundMe page. The bochurim, who are halfway to their goal, reached out to Matzav to share their plight with Matzav readers. We are seven yeshiva bochurim learning in Eretz Yisroel. Before the zeman, we signed up for a dirah with 11 bochurim, four of whom are in Yeshivas Mir this zeman. The Mir made a rule that only Mir bochorim can be in the dirah, so the four Mir bochurim who were in our dirah left. We hung up signs in Bais Yisroel (which is the area where most of the bochurim sleep and learn) to spread the word that we have four empty beds in our dirah, but only one person came forward, so we still have to pay the baal dirah for three beds this Tuesday. The total is 5,000 shekel, which is about $1,300, to make up for the three empty beds for the zeman. We’re stuck now. We don’t want to ask our parents for the remainder of the money, because they already spent lots of money sending us here to learn. So here we are now, stuck with no money for the extra beds. We ask of you for your generous donation. May Hashem pay you back many times over. To help the bochurim, CLICK HERE. What’s going to happen next month and the month after that etc. Unless they have a solution it’s going to be an ongoing problem. I wish them well!! Public doesn’t have to do anything. This only continues because the public decides they want too. Why they do is a good question. Paying for dira’s is an additional expense to the regular tuition. As a parent who has a son learning in EY, i can commiserate with these Bachurim. It has become almost impossible to keep paying. 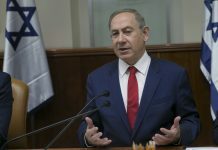 you do realize nobody forces you to send your kids to yeshiva in Israel! So let them learn in the states. Torah is everywhere, if you care to learn! LEARN A LIFE LESSON IF YOU CANT AFFORD IT YOU CANT DO IT. THERE ARE WONDERFUL YISHEVOS IN AMERICA. So, this is what it’s come to. They would rather collect Tzedaka than ask their parents?! I would be mortified if it was my son! I feel ur pain wish u well keep it up boys! Feel ur pain keep it up boys! I don’t think these comments are so nice. Sometimes someone else changes plans and then you’re left in the lurch – did that ever happen to you? In thise case, all these boys joined together to rent a dirah. When the others left, the remaining boys are stuck with the rent, in this official but unofficial way these things go. As I recall when my son was there, the expenses are high – food, transporation etc. These boys don’t want to say to their parents – we need to divide up the remaining rent, because those boys left us in the lurch, so to speak. I don’t think it reflects badly on them. If your son was in this predicament would you want him to beg from strangers to come up for the rent. If you would, there is a serious flaw of feeling entitled to others handouts. Should every babysitter in Lakewood that has a student back out, go around and beg the public to pay for their loss? Yes, sending your son to Eretz Yisroel cost alot, and unexpected expenses come up. these boys feel like tzaddikim for not approaching their parents. Sona matanos yochyeh, This is a tremendous disservice to them to be begging the public. These boys have no chasivus for other people’s money. Why am I being so harsh on them? They write the GoFundMe page as of they are being evicted and are completely desperate with nowhere to turn , appealing to rachmanus of other yidden. They managed to ask their parents to fly them to Israel to learn and all the extra expenses that learning in America wouldn’t entail, but now became sincerely concerned. If the situation was different that they approached their parents for more money and the parent could not afford it, my response would be different. However, that is CLEARLY NOT the case here. I was reading all the comments on the website and it really bothered me what i saw. So i decide to take a few minutes of my day to write this…I’m a mother of 7 ble”h and I have already sent my two older sons to learn in Eretz Yisroel. BH My husband and I were able to give them all they needed, but I remember when I used to talk to them on the phone and they used to tell me how some of they’re friends are having a hard time with money for the dirah and food. I want u all to know non of us know they’re situation and instead of judging them and commenting bad things about them maybe for a second let’s be them dan lekav zchus. We are all part of klal yisroel and are spos to care for each other not bash each other. So instead of just saying dumb things, just don’t write anything. No one asked you for your opinion. If you don’t want to give money don’t give! Hashem will be a lot happier if you show that you care and encourage them that they’re doing a great job! People now days think thatwords are free and we can just say whst we want. We just had a perfect example with the two frum girls that sang a song about dor yeshorim, and all i saw was hundreds of people just hating for no reason! Let’s stop all this hate and may we be zoicha that meshiach should come already!! Apparently you ignore reality. If someone cant afford something they shouldn’t buy it. if someone cant afford an Israeli yeshiva they should send to an American one And if they cant afford an American yeshiva they should go out to work. Just because somebody wants something in this world doesn’t guarantee that person will get it whether the person is deserving or not. I see we’ve touched on a raw nerve called “tuition crises”. Yes yeshiva tuition is very very expensive, regardless of whether you send your child to Eretz Yisroel OR if they learn here in America. There are no 2 ways about it. 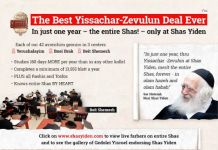 A Bais Medrash bachur MUST stay in a dorm and it cost extra. It is very difficult to pay the monthly tuition expenses! What’s the eitzah? Keep them home? That would be a churban. Yes, the tzibbur who are wealthy, should help their brothers and sisters who are trying to be mechanech their children Al pee derech hatorah. Why waste it on sponsoring silly trips to Uman or Meron? How would that be a churban? In europe children only got a cheider education. in america only until the 90s everyone got a highschool yeshiva education. If everyone wants to send their kids to voluntary extra schooling send them close by to cut down on costs. Why do american institutions have to suffer because people decided everyone has to send to Israeli yeshivas. B) You should never know of such things-but my family PERSONALLY benefits from the use of Dor YIshorim (as there is genetic disease in our family). The content of that song was gross and belittling to families like ours……….We have enough pain-WE DONT NEED MORE! This is absolutely absurd. So where exactly did these bochrim get their computer to go online and waste precious time setting up a “goFundme” campaign? This is nothing more than a scam. If they’re there for the right reasons, they wouldn’t be busy with “hock”, and they’d simply decide with their parents what to do. Parents, beware when sending your boys overseas- if they’re ehrlich and mature, then great! If not, then it’s a complete disaster. I didn’t being up that story for it to be discussed here, I was just making a point which seems like you got. Oh please. Stop justifying the idea that when you cant afford somthing you stick out your hand to everyone else. They are not children who have been publicly shamed since thier parents could not come up with tuition. Learning in EY is a luxury. My sons worked bein sedarim to pay for things they needed but I couldn’t give. These boys can do the same. nu, did they raise enough money??? Some felt it was wrong, some felt it was quite original, and some even gave more because they were upset that some found it wrong. 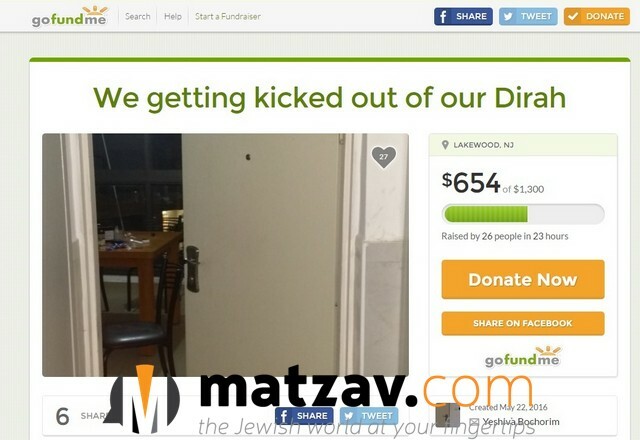 But despite the backlash, the Bachurim who opened a GoFundMe page to cover the cost of some unexpected vacancies in their Dirah raised almost all the funds needed to keep them going. Let them go out and work. They have helped thousands; they will help you, too.